Ever fancied of co-designing a character in a huge game based on your own concept? Or have you ever fancied naming a character or a territory in an awesome game? If you ever had such a thought, then this Kickstarter project might just be the one you’ve been looking for. Boomzap Entertainment, one of the largest employers of Malaysian game developers recently began their first crowdfunding project for Legends of Fire & Steel and they are planning on releasing it for PC, MAC and mobile tablets. They are looking to involve you in a critical part of their game development process through early Beta testing. This would help them improve the way the game works and feels before it’s fully released. You will be rewarded greatly for offering your support and for your investment. You have the chance to receive a lot of cool stuff such as digital art books, rhythmic soundtracks, and also a cool feature of designing your own hero based on your wildest fantasy. If the game is successfully funded it will be released in the fourth quarter of 2015. They are currently planning on raising $50,000 in about a month. At the time of this writing, they only managed to raise about $2,655 and only 75 donors have backed them. They have about 12 days more to go. Legends of Fire & Steel is a game that’s been inspired by old school strategy games like WarCraft, Civilization and Heroes of Might and Magic. Boomzap wanted to create an awesome strategy game that mirrors the feel of a large and epic strategy game but with a shorter playtime and a more simple set of controls. 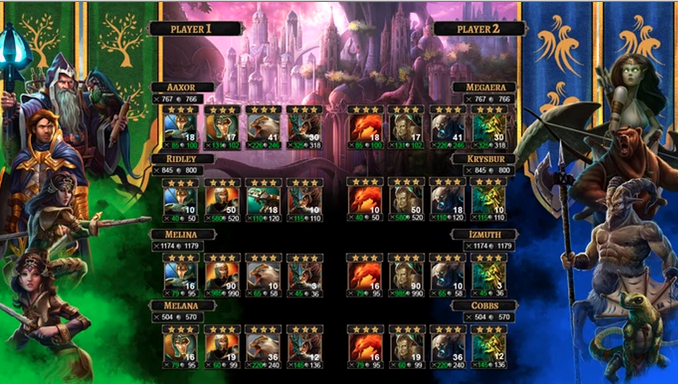 In essence it’s an innovative turn-based single and multiplayer fantasy world conquest game that’s mixed with design elements and mechanics of board games and card games. This allows you to play it with ease on tablets because I assume it does require a lot of screen space for it to function properly. You start off by creating your army, which will be led by a hero and you guide them across territories so that you can collect resources and build new units and heroes. 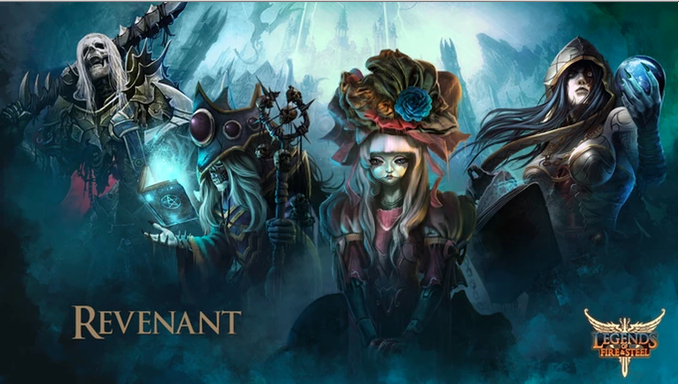 The game is set in a world with three warring races—Humans, Fae and Revenant (my personal favourite). You get to control your hero across the map and build alliances with other units of your race, and this will give you a unique set of advantages over others. In fact, you can even hire units for your armies, organise them and lead them to occupy territories, collect large sums of resources, heal and to also defend yourself. This game will give you an opportunity to implement all of your Machiavellian thoughts into practice. 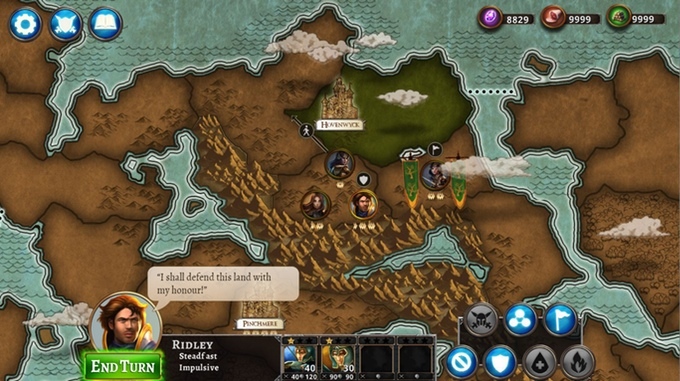 While most multiplayer games have a simultaneous plan and a resolution cycle that requires players to wait for each other to finish their turn. This game allows you to carry out your attack one by one in an auto-resolve order. 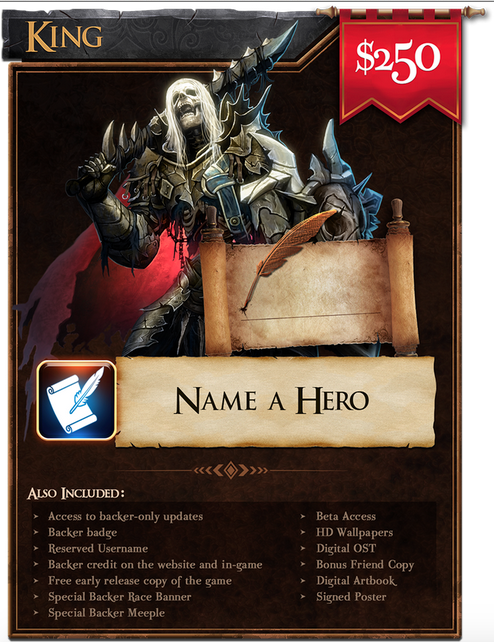 This will allow you to mix and match the heroes’ range of abilities and create unique strategies in the game. Legends of Fire & Steel is supposed to be the solution to long and tedious strategy games or even shorter RTS ones that are won primarily based on maximizing fast clicks rather than strategy—both of which put off casual players. The game has been specifically designed to be more fun and enjoyable in hour-long play sessions in both single and multiplayer mode and the controls are kept simple to make every choice meaningful. In fact, the game goes a step further by taking a cue from classic board game Diplomacy and allows players to plan their moves simultaneously and make deals, form alliances and plan moves together—all in real time. So no one has to wait in a hot seat for your opponents to finish their turn or solely rely on fast clicks. It’s simply about fun and strategy, which is what a good game should be about. You can fund the project here.